The Civilian Marksmanship Program has just finished temporary installation of 15 traveling electronic Kongsberg Targets at the Oklahoma City Gun Club in Arcadia, OK. 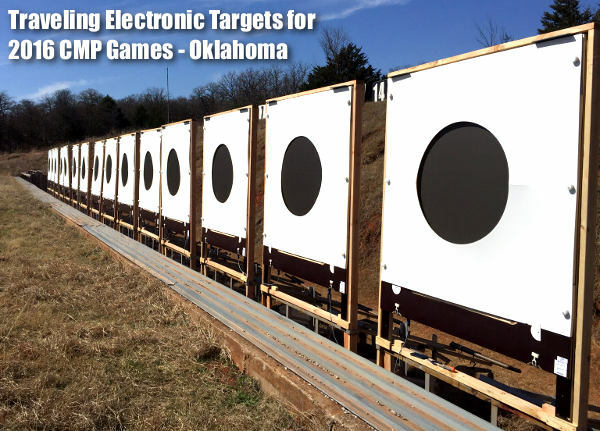 These high-tech targets will be employed during the Oklahoma CMP Games, slated for April 6-10, 2016. 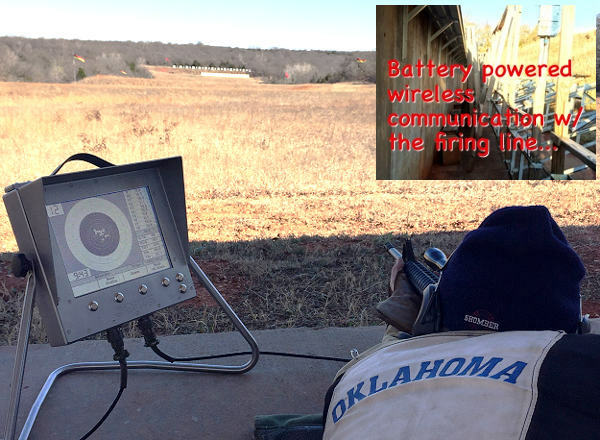 All the High Power rifle events during this year’s Oklahoma Games will be run exclusively on these electronic targets. Competitors will be scored electronically with match results being processed in real-time. Notably, this means High Power competitors will not have to do “pit duty” the entire week since manual target-pulling and shot-marking is no longer required. The majority of shooting at the Oklahoma CMP Games will be fired at the 200-yard line for the Garand / Springfield / Vintage & Modern Military (GSMM) matches. However, the electronic targets have also been readied for use in the scheduled Excellence In Competition (EIC) and Vintage Sniper matches. Those events require additional firing from 300 yards and 600 yards. This acoustically-scored target system uses four microphones to locate the bullet as it passes through the target. The microphone closest to the bullet traveling through the target actuates the remaining three to triangulate the exact shot location for the scoring system and simultaneously display the shot on the shooter’s monitor. The entire system can be powered via battery, generator, or combination of both. The target line communicates wirelessly with the firing line computer system for timing courses of fire and recording scores. And of course, there is virtual real-time communication with monitors set up on each firing point to display shot / group location and value. The 2016 CMP Oklahoma Games will be held at the Oklahoma City Gun Club in Arcadia, OK from April 6 – 10, 2016. Registration is still available. For more information about these Kongsberg Electronic Targets, contact Bryan Parris of CMP Targets at (256) 835-8455 or bparris@thecmp.org. Share the post "CMP Readies Electronic Target System for Oklahoma CMP Games"
Just wondering, if a shooter sights in his rifle at one firing point will that zero hold true on all firing points. I don’t see how the acoustic senors on each target could be exactly the same on all firing points. 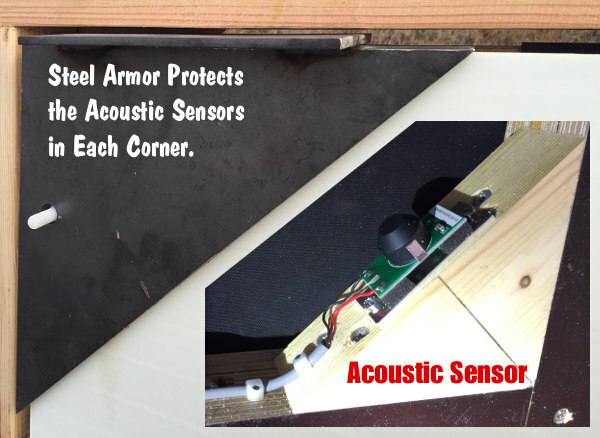 Yes – the acoustic sensors would have to be calibrated after the target is assembled. Most likely there is some kind of “wand” that makes a clicking sound, and they poke it right in the center of the x-ring. Once the sensors are calibrated to the target face, they will tell you the real shot position on each target. Kongsberg has been using this kind of technology since the 70s for underwater survey – it’s called long baseline or LBL.